Good morning! It’s Rubeena here today with our fun Trending with The Ton post for the month. 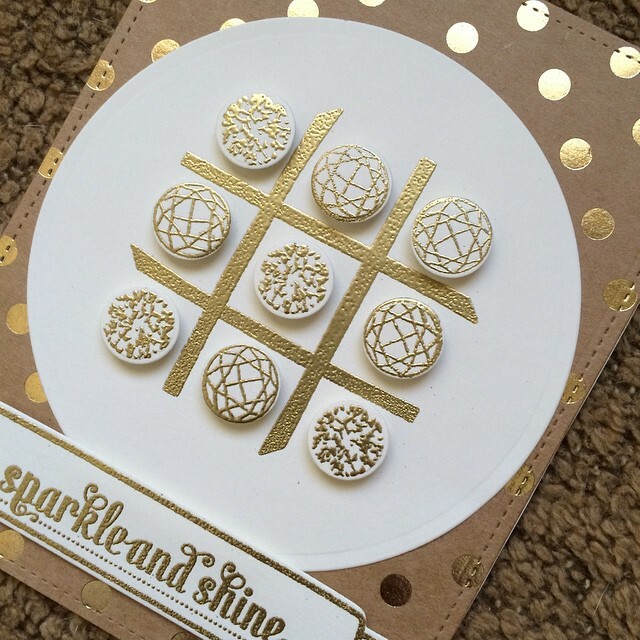 We seriously LOVE seeing what you do with The Ton products, whether they be our couture stamps, dies, or gilding. I will be highlighting a few that caught my eye over the past few weeks, but don’t be discouraged if we haven’t featured you yet! Be sure to tag us when you use our products. Use the hashtags #theton, #thetonstamps, or #thetongilding on Instagram and other social media sites. We have a Flickr group for you to add your projects to as well as a Pinterest page. The first card will take your breath away. 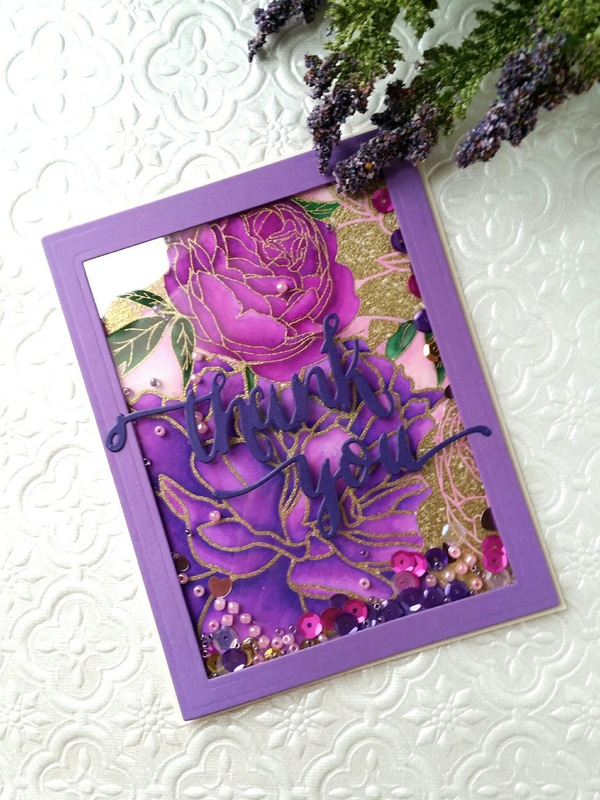 I love how much Emily enjoys using our Peony Garden Background Stamp and how she created this stunning purple and gold shaker card. Her shading and blending with the Zig Clean Color Real Brush Pens is amazing! I just love the soft pink background, too! Next, I spotted this set of cute cards by RoroRuru. 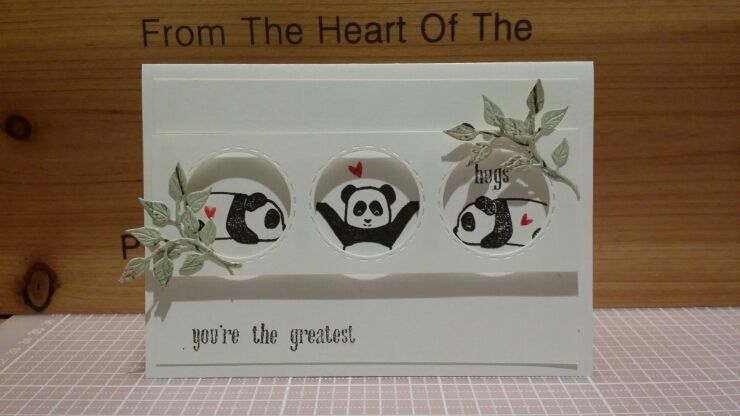 She used Panda Can’t Even to create little scenes and a whole lot of adorableness! One can’t help but smile at these silly pandas! 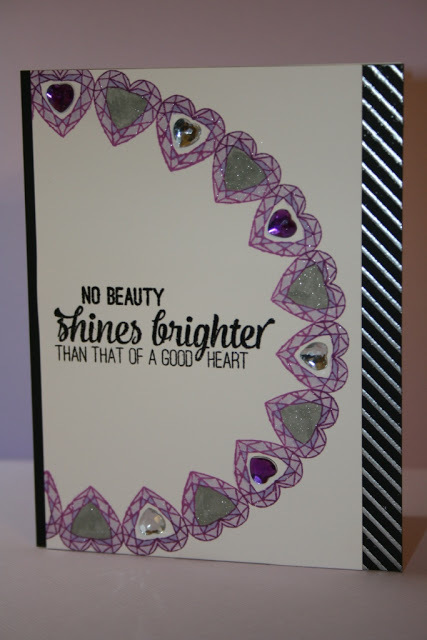 The next card by Juilien Jiang uses Heart Diamonds stamp set and our Heart Gems to create this sweet and sparkly card! I loved her design and the embossed strip on the side for a vivid contrast! Check out what Eri did with the Fresh Cut Peonies and layers from Heart Diamonds!! So clean and simple yet stunning. And last but not least, I loved how creative Sherry got with the Round Diamonds and the stems from Fresh Cut Peonies! 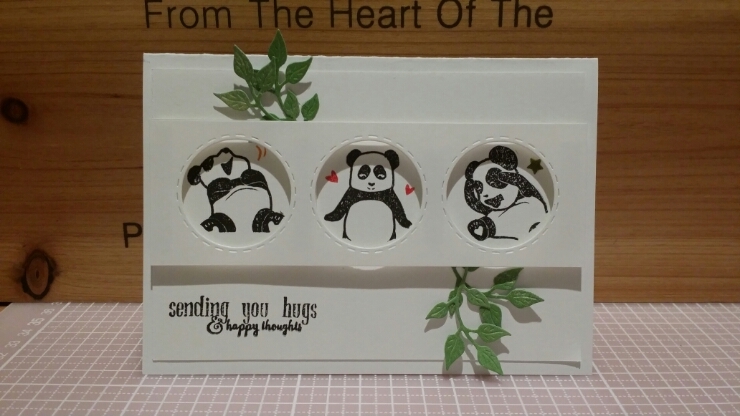 Thanks for sharing how to stretch your stamps to create different looks. Thank you to everyone for sharing your creations with us! We love your support and are excited to see more. 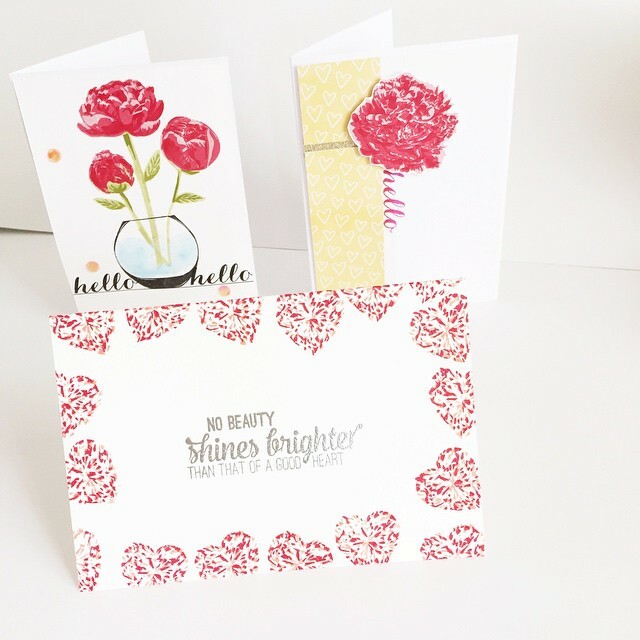 Stay tuned for next week’s Fall 2015 Release Week with the amazing Design Team and special guests for our blog hop. We know you’ll love our new release as much as we do! Keep creating and tag us!